We prepare comprehensive market research reports on electronic security containing extensive research and detailed analysis on the booming electronic security market. Our collection of reports on electronic security include detailed review on technologies revolutionizing the global security market, like Biometric fingerprint reader, Identity management services, and Vehicle security devices. We also provide a comprehensive account on recent developments taking place all over the world in the field of electronic security. 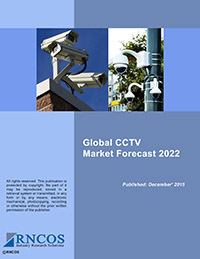 Based on the thorough analysis and market trends, the reports predict the future of the security market. We offer exhaustive research on market developments, coupled with the study of past reasons and forces impacting the global electronic security market in our reports. We track recent trends and current news to update our electronic security research reports regularly. This rich and latest information helps clients to understand the current market scenario and make decisions accordingly.